After years in exile, Seraphina, Duchess of Haven, returns to London with a single goal - to reclaim the life she left and find happiness, unencumbered by the man who broke her heart. Haven offers her a deal: Sera can have her freedom just as soon as she finds her replacement - which requires her to spend the summer in close quarters with the husband she does not want but somehow cannot resist. The story line and plot was great. I really enjoyed it. Too funny when he made her come to a house party to select the candidate to replace her as his wife. OMG the sisters are hilarious. Love them all. As for the narration, it's Justine Eyre so you know what your getting. She does the men's voices well, albeit they all sound the same mostly. She is not my favorite but I can definitely listen to her. 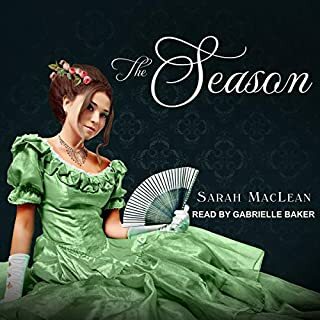 Oh, it kills me to not enjoy a Sarah MacLean book. And I hate to write a less than stellar review. But this book was not enjoyable. The writing was fantastic, as usual, and the dialogue was typical SM, witty and fun especially when the sisters were involved. I just didn't like the entire premise of the story. And the whole regency version of The Bachelor was a little much. The plot is available elsewhere so I'm not going into it but there was too much angst and annoyance for me to enjoy. Sure, a good book will tug at all emotions and I like that. This book just made me uncomfortable and finishing it was, frankly, a chore - something no other of Sarah's books has ever done. She's a fabulous author but this is not her best. Justine Eyre does her fabulous good work with the narration of the audiobook. At times it was difficult to determine right away which dialogue was spoken and which was only thought. Not the narrator's fault but something authors may want to keep in mind. I'm so disappointed by this book. 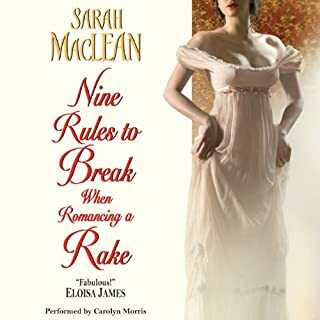 I assume Sarah MacLean will give us more great books in the future. What did you like best about The Day of the Duchess? What did you like least? The story was original by the historical romance genre standards, the author’s style is an enjoyable blend of humor and snappy dialogue. The characters were fully fleshed and went through interesting and complicated emotions. The premise of the book and the author's style. Not particularly, I found her slightly irritating. However, I have to say that she read thru the overly dramatic scenes in a way that made them much more palatable and enjoyable. Was The Day of the Duchess worth the listening time? I really wanted to LOVE the audio but I didn't. What did you love best about The Day of the Duchess? I love the story. I have the ebook and audiobook but the narration ruined it for me. I honestly didn't enjoy Justine Eyre's voice. I think it just lacked the passion and age of characters. When I read the ebook, their voices and character had more passion and I cried reading it because the emotion was there. Justine Eyre just didn't deliver it for me. I cried reading the book myself. Sarah Maclean is my queen. I could hardly put it down, and I loved the humor. Some new plot twists really livened the story. It was nice to see earlier characters making an appearance. I liked everything about this book. To me Sarah MacLean’s best. I’ve always enjoyed Justine Eyre’s narrations but this is her finest. This is a definite keeper to be enjoyed again and again. But also wonder, why not more books in this series? 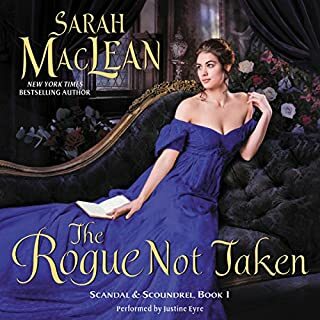 A GF recommended TDOTD to me recently but said read the first chapter in The Rogue Not Taken because it makes Sera & Mal’s Story so much better... and I’m so glad I listened! 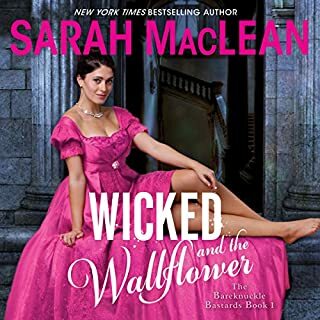 Malcom “promises” Seraphina a divorce which would grant her the freedom she is desperately looking for if she can only find him a replacement wife... oddest of predicaments of course but the Duke is determined to win her back by proposing such an outlandish plan. And it might be working until it plainly isn’t! Ahhh these two had me in a frenzy, and now I’m ready to back track to book 1 & 2!! 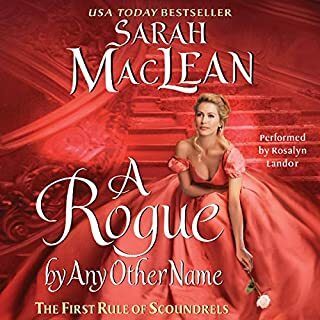 My first Sarah Maclean title and will definitely not be my last!! The plot was okay. I thought it was a little far fetched. It is a good Regency romance aside from the Bachelor plot. But truly, this series narrated by Justine Eyre is so hard to take. If I had time to read the books instead of listening to them on the hour commute to and from work, I would have chosen an email after the first one. A different reviewer talked about the lilt at the end of almost every sentence. Lilt is too kind of word to describe it. If only I could accurately describe how she says the word 'forehverahhh'(forever). Never another book with Justine Eyre as narrator unless it is not an English Regency romance.